Skin is the outer covering of the body, it consists of an outer layer called epidermis and an inner layer called the dermis. Beneath that is fatty tissue. The epidermis protects the body from injury and invasion of parasites. Skin is waterproof and helps contain water in the body. Skin also excretes poisons (sweat) and also acLs as a sense organ. The point here is that skin is not some board to be etched on but an actual working, organism to be dealt with carefully, so extra sensitivity is needed. Up to a point, all skin shares a common bond and certain characteristics. Beyond that, the variation infinite. You should be aware of this because eventually you will come in contact wifh it all. Some people's skin is quite flaky while others are naturally oily. Some skin seems to reject ink through an entire tattoo, and some accepts it quite readily. Certain people have extremely sensitive skin and others just the opposite, totally impervious to abrasion, asit seems. You should be aware of the type of skin that you are dealing with. For example, you shouldn't grab everyone the same way, some bruise more easily. Be open to individual needs No matter what skin type a person has, it can all be somewhat equalized in texture by keeping it moist. Always keep the skin lubricated with vaseline or bacitracin ointment while working on it. A good tattoo does not have to go extremely deep to stay permanent, but can survive quite satisfactorily In just the epidermis layers of the skin. One of the rruyor bonuses that you have working with skin is in its elasticity. It stretches a lot. In order to perform any kind of precise work and to get the ink in correctly, the skin must be taut. It's important that the skin be stretched tightly like a drum so the needles don't bounce, or get hung up in theskin. If the skin isn't very tight, your lines will go from too strong to too weak. If it is too strong, you have gone way too deep and a big fat line with "knots" in it may occur and scar tissue will usually result. If the skin isn't stretched tight, it will be difficult to get the color to go in the skin. The needles will bounce off the skin instead of penetrating it. It may look like the ink is getting in all right, but it could be an illusion and be getting in on only the very top layer of epidermis. Keep the area you have just finished clean so you can see how solid the color is. Use a magnifying glass, if necessary, and stretch the skin while you are examining it. If you are working on an arm or a leg, grasp the back of it. Squeeze firmly, but not so tight as to cramp your hand or bruise the more sensitive person. If you are working on a back, chest, breast or bottom or somewhere where you can't grab the backorit to stretch, you will have to stretch it with your free hand. You do this by cradling the tattoo area between the "V" formed between the thumb and the forefinger. Make contact with as much finger skin on the area as possible to make more •'drag1* to hold the skin better. If the skin is slippery, put a clean paper towel down first, it will help keep your hand from slipping. Plus, you can always use the paper towel in your free hand far wiping, if necessary. To put a stencil on the back, have the customer stand straight up and fully relaxed. After the stencil is on, you can put them in any position you like, to do the actual tattooing. Give your helper a paper towel. Have him sit across the bench from you and hold onto the other side ofyour customer's skin lb do this, have him spread out die fingers on both hands to cover as wide an area as possible, about six inches from that side of the tattoo. Have him toward you from below the tattoo, giving your machine hand plenty of room to maneuver. Most of the time your helpers will tire out easily in this position. Another 'hold" is to have him sort of lean on The customer ami use his entire forearm to hold the skin while the arm is bent at a 90 degree angle ¡it the elbow. 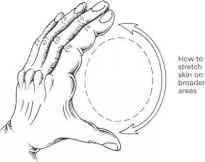 If no friends are to he found, you can stretch a large area by using the outside of your left palm, ring and Jitrle finger to push upwards. 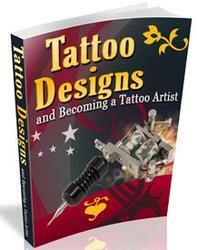 Use your little ringer»™} the wi'tsule ofyour right palm to pull down as you tattoo with the same- hand. This is easier than iL sounds and it gets easier with practice. A short word is in order here about some of the first skin you will come in contact with. You will need some skin to practice on. You are going to need some skin of some kind to learn on and get the basic feel of things. In the beginning, start on yourself. If you are right handed, you can cover most ofyour left arm and both legs yourself Why not' You want to tattoo don't you? Let's not get squeamish. It's better to make mistakes on yourself first than on other people If you plan to make a career in tattooing, you'll find it difficult to market a product which you yourself don't endorse. Once you've covered yourself with fine tattoos, it's time to start looking for friends. You can always find people to work on for free, who aren't that particular at first. Usually a deal can be made where if you tattoo them for free, they will advertise around where they got it. It's a good form of practice for you. They get a good free tattoo, you get to work on different people, and you also get the benefit of some free advertising. There is no problem tattooing a dark skinned person. Of course, the tattoo will not stand out as much as it does on white skin, especially if the person has real black skin. Contrary to belief, white ink is not the solution to tattooing black skin. Red and black tattoo ink wilt show up the best. Forget about using white, it doesn't even look good under black skin. On Latins, Mexican or Oriental people, all tattoo colors will show up well. Some dark skinned people will hesitate in getting tattooed because they think it won't show well on their skin. This is when you should do a bit of public relations work and assure them that the tattoo will look just great. Having a couple of photos of previous customers with dark skin showing their new tattoo will help convince the reluctant prospect. Another thing you should keep in mind is try to have a real dark skinned person get the tattoo on the inside of his forearm, they are usually a bit lighter in this area and the tattoo will stand out more vividly. Don't forget if it is a profile tattoo, have it facing outboard on the inside of the arm and inboard if it is on the outside of the arm. Some thought should go behind the actual placement of tattoos, such as the size and shape of the design as opposed to the size and shape of the skin area being tattooed. A large flying bird spanning left to right would look a little awkward on askinnyarm that hangs basically up and down, TVy to use the lines of the tattoo toenhance the curves of the body part, "this will be making more of an artisticstatementthanjust slamming any tattoo in any position. Use a design that is compatible in size and shape to the area it's going to be on. For example, on the forearm, use a long design that goes up and down the arm from elbow to wrist, also taper it so it conforms to the bulge in the upper forearm and slims down as it comes down to the wrist area. Small, rounder shapes work well on shoulders. Large, round ones on the chest or back. Oblong designs are great for biceps and legs. Small tattoos don't usually look that good on large areas and seem to get lost. Large tattoos squeezed into small areas are confusing and usually the entire picture isn't visible from one angle. Sometimes what looks the best isn't necessarily what the customer wants. It isn't your job to argue with them, after all, they're always right, but it does help to make a few suggestions and to state how you view things. People will usually consider what you have to say. The direction a tattoo faces also should be considered. Although the customer always has the final say, a general rule to follow is that a tattoo that is in profile (or partial view turned) should always face to the front of the person. That is, don't have them pointing backwards to the rear. Some examples are shown below. Depending on where the tattoo is located, (some on the left side, some on the right) and what the tattoo looks like, you may need two stencils of the same design. On acetate, just engrave both sides, having Iwth a left and right image. Before randomly applying a stencil, give it a couple of turns and try different directions to see which way the design would look its best Try to he a little artistic and spend a little time shuffling the stencil around. Skin has wrinkles, scars, stretch marks, lumps, cysts and all kinds of surprises in storp for you. Stay away from all the problem areas and work around them if you can. Don't tattoo moles. Avoid working on heavy scar tissue because it doesn't heal well. The same for pimples and hickees. TYy to incorporate these blemishes into the design whenever possible. You can actually get. quite creative here if you wish. For example, in a butterfly or leopard, a mole can sometimes be hidden as one of the spots. A taS^ Is \KV'?>>°»ibl«"> hoM «I" for a tattoo in thisarea. Try to guide women away from getting tattooson their arms l>ecause many employers they 127™, "*"' Tr^T'1"^ Mie to*™*™ of thesiZion 7f uie> itui want one, go ahead and do it. Why does my tattoo needle bounce off fatty tissue? Do tattoos on the chest bruise more than other areas? How to tattoo yourself with no one to hold the skin tight? How to stretch skin for tattoo? When your tattoo needle is bouncing off the skin? Why does tattoo needle bounce off skin? 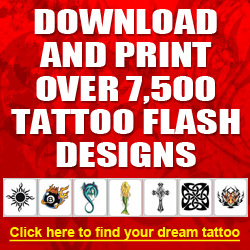 Why does some peoples tattoo ink stand out? What do I use on the customer's skin when starting to tattoo? Why is some skin easier too tattoo than others? How to stretch when tattooing? How to get your skin to stop rejecting ink? How to stretch skin while tattooing yourself? How tight to stretch skin for a tattoo? Why isn't solid black shading tattoo ink not staying in skin? What happens if skin isnt pulled tight during tattoo? Do you stretch skin when applyingba tattoo stencil? How types if skin tatooz? Why doesn't the ink stay in the skin when i tattoo? Why does the tattoo ink stay in one part of my skin not the other? Which solution is for extra ink on skin while doing tattoo? Why does color on tatoo does not stay? Can people with oily skin hold tattoo ink? How deep do u punatrate the skij while tattooing? Why my tattoo wont stay on skin? Which parts of body does not hold tattoo ink well? How to angle the tattoo needle to prevent scarr? How to stretch the skin properly when Tattooing? How to tattoo and stretch skin with one hand? How to correctly stretch the skin for tattooing?